Letts are incredibly well known for their workbooks and revision guides. They produce educational workbooks suitable right throughout a child's school life, and today have added more titles to their Wild About range of workbooks for children in Key Stage 1 and 2. To celebrate, one of my readers can win a set of five Letts Wild About workbooks tailored to the age of their child. With 3 teenagers here who have just completed GCSE's, AS levels and A Levels, we are well aware of Letts and have a library full of their revision guides. This is the first time that we've looked at Letts Workbooks for younger children. 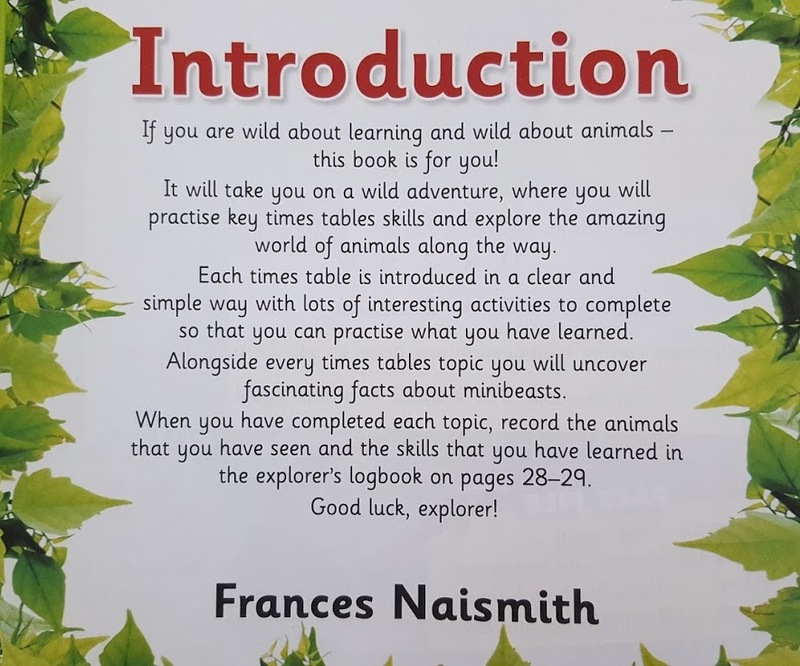 The Wild About Workbooks are designed to engage your child and encourage them to work through activities while learning about their natural world. 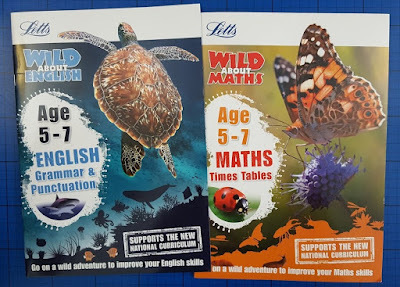 We were sent Wild About English: Grammar & Punctuation, and Wild About Maths: Times Tables for my 6 and 7 year old boys. All of the workbooks tie into the national curriculum, and are banded by age, both of my boys fitting into the same band at the moment. 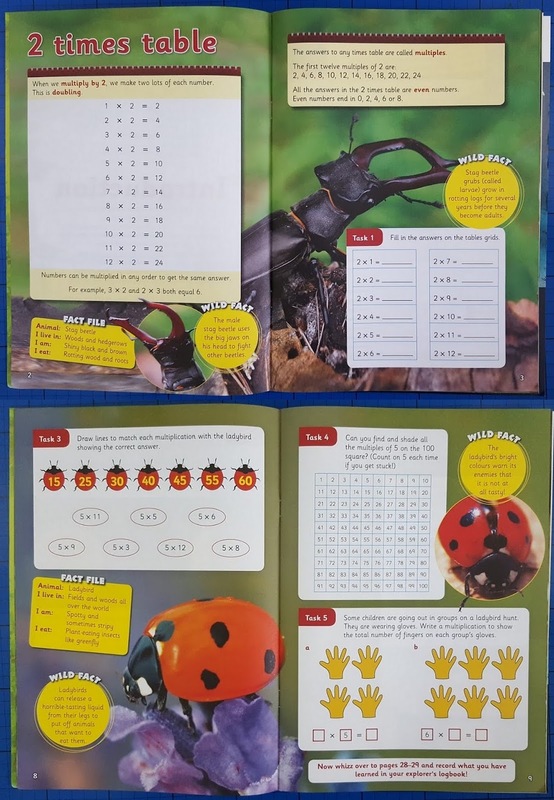 All of the workbooks have a similar format, with Practice Activities featuring Wild Facts and Fact Files, a Quick Test, Explorer's Logbook so that your child can track their own progress, the all-important correct Answers, and finally a Certificate when the book is completed. 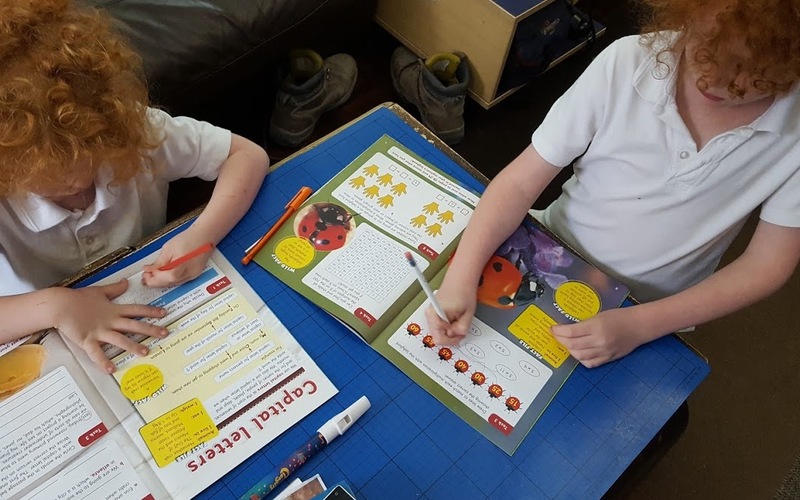 The activities are varied and interesting and, at the 5-7 stage at least, didn't require too much writing or large chunks of reading. 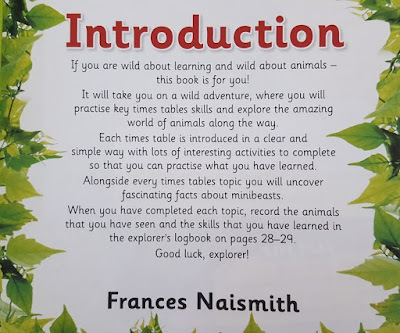 There are lots of illustrations, photographs and other images, and some great facts about a huge variety of wildlife. The space given for children to write their answers is brilliant. My 6 year old is not yet very neat, and did not struggle to fit his own answers into the boxes. Each page has just a few short activities, so it isn't daunting for a younger reader. 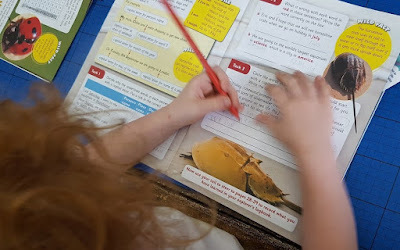 My boys were a bit reluctant to have a look at first, we have a clear distinction between school and home, but I opened the books and they were soon too nosy to ignore me...and in fact, they both got their pens and pencils out. They were both able to complete the first few tasks in each book, and the English workbook was considerably harder for my 6 year old than his 7 year old brother, but they both really quite enjoyed the maths. This is spot on with their current levels in school, and lack of attention to instructions on the part of my youngest. Slowing down so that he doesn't miss details is one of the things he needs to practice. The activities are sometimes slightly different to what my children are used to, but straightforward enough. We now know my 6 year old never read the very clear instructions and my 7 year old won't waver from them. 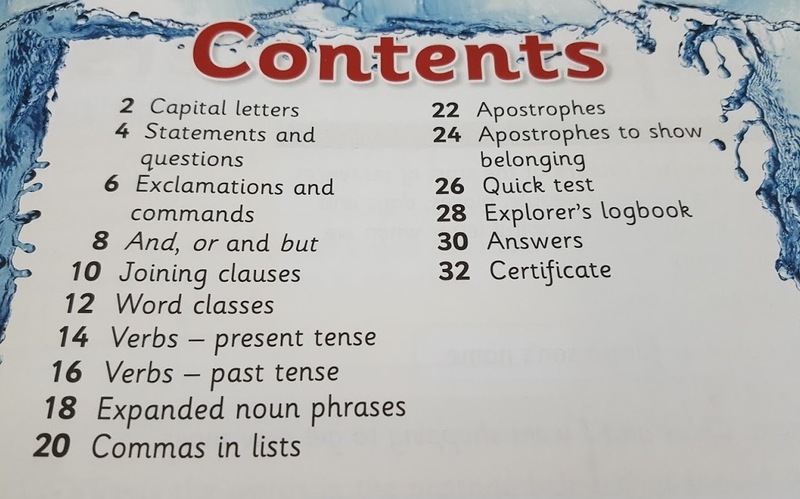 Where there is different wording it expanded their vocabulary and understanding. Being able to understand and explain a problem in a different way are skills our children will need in order to achieve their full potential in school. 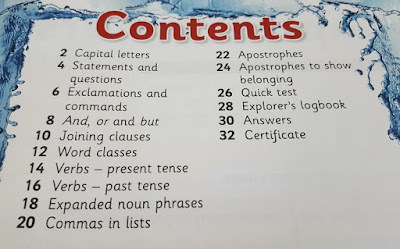 My children enjoyed the workbooks far more than we had all expected. They are more like a children's 'natural history book with added questions' than they are a worksheet and test. Unlike school worksheets, they don't just quiz children on what they already know, they teach them (and you) some really unusual and interesting facts about an incredibly diverse range of wildlife. 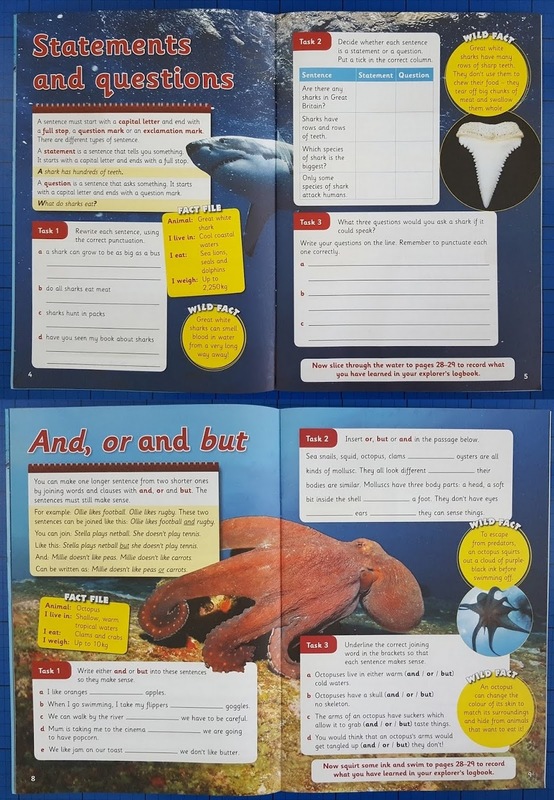 There are more than 30 Letts Wild About Workbooks for children throughout Foundation and Primary School, aged 3-11. The books have an rrp of £3.99 (32 pages) for children aged 3-7 or £4.99 (48 pages) for children 7-11. Letts have a brilliant prize for one of my readers. 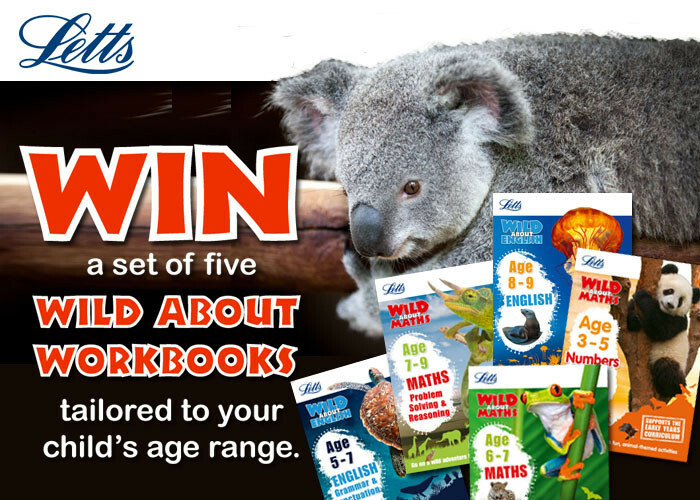 The winner will receive a set of five Letts Wild About workbooks tailored to the age of their child. To enter the giveaway use the Gleam form below. You can find out more about Gleam (and see my other giveaways, including more children's book giveaways here..). The giveaway is open to UK entrants only and will end at midnight Sunday 31st July 2016. Full terms and conditions are at the bottom of the Gleam form. Ermm, I'd rather not admit that as everyone thought I had a crush on him!! Mt Thane, my English teacher. I didn't realise it at the time but he instilled in me a curiosity about my own language, and others. i loved woodwork at school & my teacher named mr Bolt!! My English teacher, Mrs Jones. Mr Steele who brought English Literature to life. Mrs Dale from my primary school! SHe was just so loving and inspiring! Did not have a favourite. Mr Gore - English teacher. my secondary school history teacher, mr staples. He was so easy going and let me get away with things as he said I was 'cheeky'. My history teacher in secondary school was my favourite, she really was lovely and really made history interesting and brought it to life. I had a lot of favorite teachers, but I'll go with Mr Orner. He was my 5th grade teacher and really made learning fun. I tried following his example of using immersive projects when I taught. Master McCarron, he was the principal so a bit scary but an excellent teacher! Mrs West my form tutor & English Teacher.She looked like a complete mad woman but was really encouraging & great fun. My chemistry teacher, such a lovely man. My first teacher in infants school. She was really kind and I always felt happy in her class. Ms Tiongco is my science teacher in grade 6 in the Philippines which is like the Primary level here. She is very good as she makes us student laugh and taught us ways to learn things easier! I still remember so many things that I learned from her. My favourite teacher, of all time, was my English teacher when I was 11-14. Her name was Miss Georgina Waterhouse. Mrs Greener in infants school, strangely she was my eldest sons first teacher as well. She told me I made her feel old. this would be perfect for our homeschooled five year old!!! My favourite teacher was Mr Nick Coulson from High School. Treated the children like adults. My Design & Tech teacher, Mr Keith Thomas! My favorite teacher was my English Teacher Mrs Sharpe. Mrs Roberts - The most patient teacher on this plannet.